Congratulations on providing such a great service! Over here in the UK we don't have anything like the Knifecenter and I was amazed when I found your catalogue on the 'Net. It has given me an opportunity to select a good work knife from a huge range of makers, and it is clear that you stock products that will have customers coming back to you time and again. In addition to the amount that you stock, I have to commend you on your level of service. Following an e-mailed request for advice, I received a reply within 24 hours (this was at the weekend) and once I had placed my order, I got an e-mailed confirmation and the goods arrived within a week. We don't often get service that good from companies in this country, so you can imagine how happy I was to have it arrive so quickly. Thank you once again for such a great service - long may it continue. GREAT SERVICE!!!!! Placed order with incorrect credit card exp. date. Rcvd your message on my mistake & E-mailed you correct date. Rcvd the knives the next day!!!! Great Service!!! I just received my order and I would like to express my thanks. I ordered a Kershaw model 2420. This is a liner-lock action knife that I have been looking at for some time. I am thoroughly pleased with this product as the fit and finish was as good as advertised. The action is very fluid making it one of the fastest opening liner-locks that I have seen. I would like to again express my thanks for the painless ordering and the helpful people that I spoke with. I can't wait to make my next purchase. 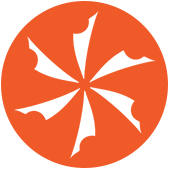 Great web site... have you bookmarked and vist daily, good reference guide,excellent learning tool. appreciate how you made all the links as well...goooooood joooooob ! I'll be back ! My name is Scott and I am a trainer and police officer from South Carolina. I own and operate a successful training firm that conducts weapons training to include a popular tactical knife class. I recently ordered several Sharkee VirtualBlade marking knives from your company to conduct a hastily assembled knife class for several SC National Guard members who are soon to deploy to Iraq. As the class was put together on short notice, I needed the knives rather quickly so I ordered them 2nd day delivery via the web and attached a note stating I needed them quickly. Much to my suprise, within 10 hours of my order I received a phone call from one of your employees, Tom, who assured me the items would be sent on time utilizing standard shipping. Within two days my knives did indeed arrive as Tom promised saving me a few dollars on shipping and leaving me thoroughly impressed with your company. I really like the knives and the class went without a hitch. You also have my compliments as you Indirectly played a role in preparing a group of young soldiers to better serve our country. The few dollars I saved on shipping and the product you supplied are a nice bonus, but I have never received this level of outstanding customer service from any web based order I have ever placed. I will definitely be ordering more from you guys. Howard - I've been doing business on the net now for 2 years and I've been "wheeling and dealing" for close on 20 years now with overseas - mainly US firms. I must admit that with Sinclair International, Zenith Aviation and some others, I regard the "Knifecenter" and yourself for customer service in the top league for friendliness, co-operation and customer service. I categorically state that except for one business in Australia, the Knifecenter must rate as the best there is, bar none. I received the order quite quickly. It was accurate and the products were exactly as described by the web site. Thank you very much for a very informative web site (the multi-tool comparison chart is great) and for your prompt service. I'm sure I'll be back. Have a safe and prosperous New Year..
Just wanted to say that you guys are great! I have never had such fast and excellent service with anything before. You guys are #1 with me. Good morning. I am, at this moment, admiring my Benchmade 350SBT (which I do several times a day). As an engineer, I would like to think I recognize quality when I see it. I ordered the knife from your company a week before Christmas last year. My compliments to you, as I found the entire acquisition process quite pleasurable. Your sales rep was very knowledgeable about the product, your prices were very good, and the product arrived on my door step exactly when promised. I am extremely happy with the value of the knife, and will certainly consider your company first on future acquisitions of this type. ... for some odd reason i have decided to purchase a good, quality folding knife. well after a couple of weeks of searching around through all the catalogs that i get (us calvalry, cold steel special products, various martial arts catalogs) knifecenter.com has proven to be the best. both in selection as well as prices. according to my friends the service is great as well as the people they talked to were friendly and knowledgeable. now, its only a matter of deciding which knife to buy! it looks like i'm going with the cold steel straight edge tanto large voyager! now its all a matter of funds! but i thought i'd write and let you all know that i love the site and i'm definitely going to be in contact. I ordered my Seal ATS-34 knife on a Saturday, and on the folowing Friday it arrives! Nothing unusual about that? I live in the UK! In North Wales, that is totally AMAZING!!! My local shops take 14-21 days minimum and the price...Wow I will DEFINATLY by buying my tools and knives from you. Your prices are very resonable I think next a Spyderco Military! in the UK £140, thats over $200! I will contact you when ready! Mmmm how about a 12inch CS Tanto $257.99 in the UK £399.99 nearly $600! I wanted to write in and give a big thanks to Howard for helping me out today with my on-line order. Because of an unkown credit card charge, my on-line order with KnifeCenter was declined when my credit card was hit (to no fault of KnifeCenter). Howard bent over backwards helping me out on the phone with my order and going the extra mile to get my order shipped out today! Thanks to Howard KnifeCenter has earned a long term customer who will buy knives through you for years to come. I also work at an e-commerce company and love to see on-line companies who take pride in their customer service and are customer facing even when dealing over the "anonymous" internet. Thanks. Hi, Rec'd my order today...what great service!! It's what I've come to expect when I deal with you folks!...super fast service, great products...love the brush and soap. I've purchased other items from you in the past including an Eagle brand razor by Thiers-Issard, strop, hone, etc. I'll be buying more items in the future too! My son also liked the brush and I see items you have for sale that would make great Christmas presents for him and for my daughter, so you'll be hearing from me again that's for sure!! Many thanks once again. Regards. I received my first order from you today, a beautiful Yanagibe knife, a gift for a dear friend who is a "Sushi King" without a good knife. As I live in Maryland, I was hoping to have it in 4-5 days and I was even concerned about that time frame. What a wonderful surprise to have it in hand 24 HOURS after you received my order. This knife which is not readily available is the best price I could find anywhere and before ordered I knew exactly the total charge including shipping! I am totally amazed - I ordered it only yesterday and at a great price!!! What awesome customer service. 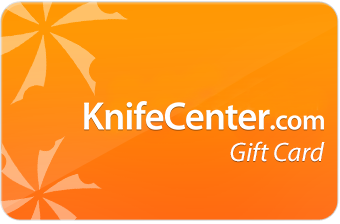 KnifeCenter will ALWAYS be my source for knives and any other merchandise you offer that I need. You have definitely "kicked it up a notch."